At SXSW, we got a chance to check out the Cabor MIDI cahon. Cabot is a project of UTSUWA, Inc., a Kyoto, Japan based tech start-up. 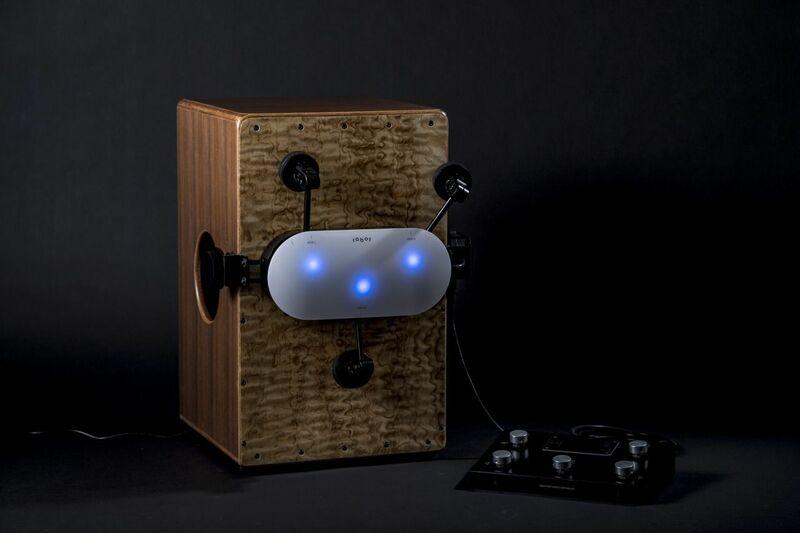 The Cabot percussion robot was conceived by Hideaki Iio, Director of the Cabot development team and guitar player/singer. 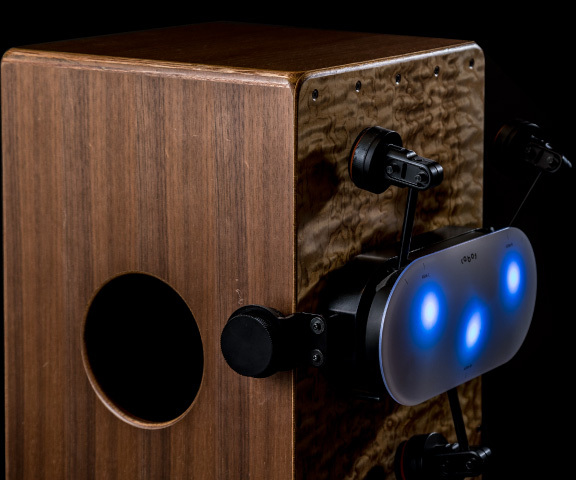 "I wanted to create a product that would rev up my solo performance." The Cabot team went through a long process of prototyping and improving the design. At SXSW, they showed a new prototype that looked much closer to a production version. You can subscribe on their website for updates on a launch date. Cabot's target market is solo perfomers who want to add cahon accompaniment to their live solo performances. A foot pedal allows you to select different MIDI patterns in realtime. 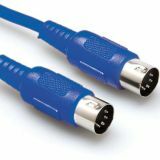 The Cabot has a 4 pin DIN plug on its body which is not a standard MIDI connector, but it sends and receives standard MIDI messages. There are two ways to program patterns for the Cabot. There is an iOS app that is under development and you can also connect the Cabot to your DAW.